Great user experience, reliability and security are among the deciding success factors for your mobile app. We develop your iOS or Android app efficiently and to the highest quality standards. Great apps adapt constantly to ever-changing user needs and platform capabilities. By choosing the right architecture for your app, we allow you to quickly react to new requirements and focus on delivering value to your customers. You have your own development team and need to temporarily increase your capacity? We are happy to lend a hand. TWINT is the mobile payment solution of the leading Swiss banks. 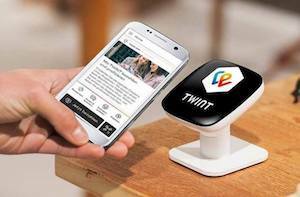 TWINT uses Bluetooth Low Energy (BLE) to perform payments with a smartphone at a point of sale via a beacon. We deliver the mission-critical piece of software for iOS and Android that makes paying at the beacon as reliable and fast as possible. Our vast experience in iOS and Android development and our knowledge of digital signal processing make us an ideal partner in the dynamic field of mobile payments. MyAmbience stores and visualizes sensor data from a Sensirion Smart Gadget. 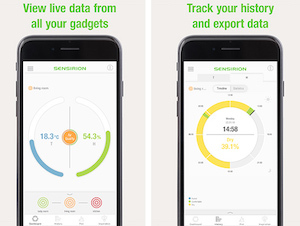 The Smart Gadget is a development kit for the Sensirion SHT3X sensors. Sensirion is the world's leading manufacturer of digital microsensors. The app and gadget communicate via Bluetooth Low Energy. Our expertise in native iOS development (Swift and Objective-C) and the creation of sophisticated and fast visualiziations, as well as our deep knowledge of Bluetooth Low Energy were a perfect match for Sensirion. We are proud to have been strongly involved in the development of MyAmbience. HockeyInfo ist the No. 1 Swiss Ice Hockey app, delivering live results via push notifications. Coverage includes all Swiss leagues as well as top international events such as the Ice Hockey World Championships or the Spengler Cup. On behalf of Ahrina GmbH, we developed the Android version of this popular app and maintain it until today. Apps seldom reside in a vacuum, often they require a backend service in the cloud, integration with your existing systems or a web frontend. Whatever you need, we've got you fully covered. We'd love to build a complete solution that works for you.